Anabel Cruz was elected to the PTF Board in December 2002. Anabel is a noted specialist in research, training, and education on the role of civil society organizations in the promotion of democracy and transparency in development processes, particularly in the post dictatorship era in Latin America. She has designed projects and programs to strengthen NGOs and measure their impact. Upon returning to Uruguay in 1985, she founded ICD, the Communication and Development Institute, a research center promoting awareness and actions dedicated to promoting community engagement in national political, economic, and social life. 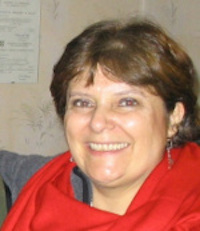 Anabel is a founder of the National Association of NGOs in Uruguay and of the international foundation El Taller and is Chair of the Board of CIVICUS. Anabel is an Engineer and Social Scientist by training.